Carey Potter is a licensed sales agent for Mossy Oak Properties Logan Land Company. He attended Auburn University and has separate B.S. degrees in Wildlife Management and Forest Management. Carey is an Alabama Registered Forester #1828 and a Certified Wildlife Biologist. 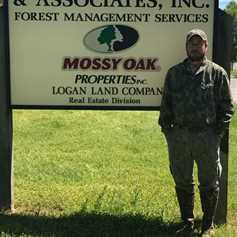 In addition to his love of the outdoors, he brings to Mossy Oak over twenty years of experience in forest and wildlife management. Carey currently resides in Trussville, AL with his wife Amy and their three children, Baleigh, Sarah Kate, and Trey.